A man in central Tokyo has reportedly cooked for his wife last Sunday night. Ryota Matsuda, who is in his late forties, was starting to get peckish at around 5 p.m. when he saw a bag of rice sitting in the pantry. 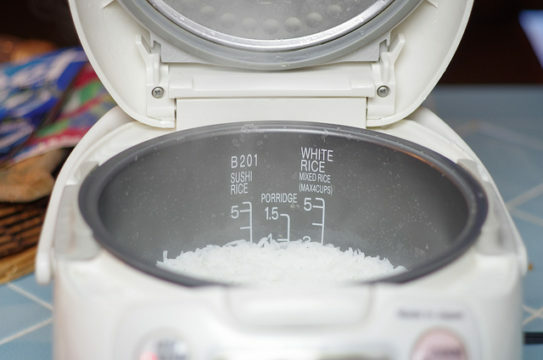 “I saw the rice and I thought, hey, I can put that in the rice cooker,” said Matsuda. There was no need for any extra effort of going to the store for dinner as Matsuda’s wife had bought some fish earlier in the day. “I don’t know what got into me, I just wasn’t my normal self that day,” said Matsuda. The Matsuda family’s sunday night meal consisted of unwashed rice and raw fish.